Thankfully, nowadays the problem of how to answer people when they write things to you in emails has been solved. As a result, you might feel at a disadvantage in real-world conversations. 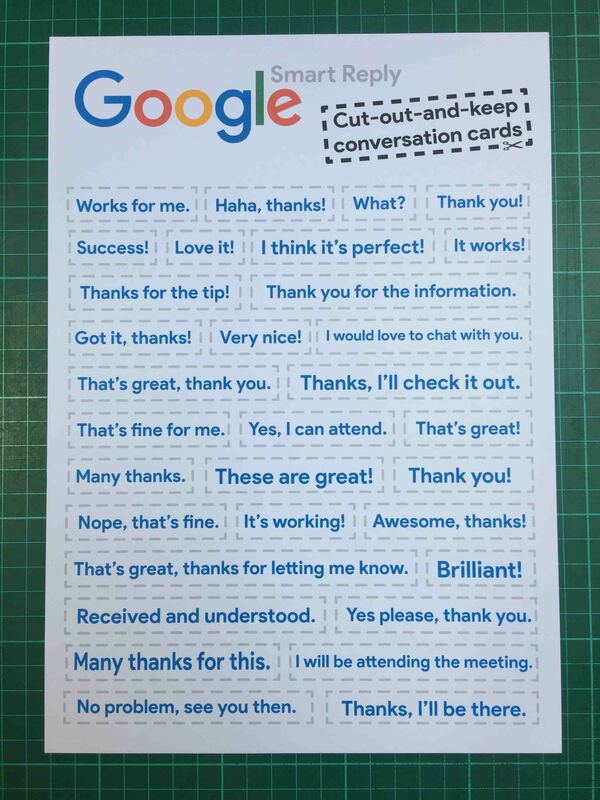 To prepare for this eventuality, make sure you always have your cut-out-and-keep Smart Reply cards with you and put an end to conversational ineptitude. Download your own set here.